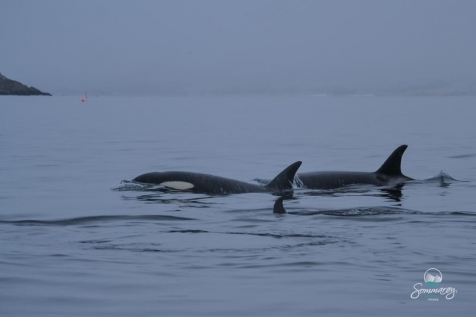 Sommarøy is well-known for its stunning white coral beaches, beautiful panorama views and of course the whales. On this trip, explore the Arctic wildlife of the neighboring island Kvaløya and admire serene winter landscapes mushing your own dog team. Get to know the vibrant coastal community and experience the Northern Lights on the magical and remote island of Sommarøy. Fly to Tromso, the self-styled capital of the northern lights, and transfer by airport shuttle bus to the Clarion Collection Hotel Aurora, located in the heart of this vibrant city. Depending on your arrival time, enjoy complimentary afternoon waffles and coffee, as well as a light buffet supper (served from 1800-2100). Enjoy roof-top hot tubs, have a stroll around the city or take in a northern lights concert at the Arctic Cathedral. After a classic Scandinavian breakfast, check-out and head for your first taste of a traditional Arctic activity. Transfer to a local husky farm (where you can store your luggage) and, after instruction, you will head out inot the surrounding white wilderness. 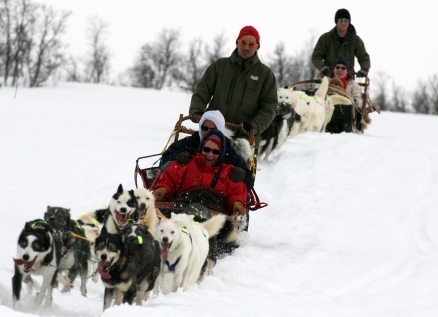 Driving in pairs, you will take it in turns to mush and sit in the sled, as you watch the stunning scenery unfold in front of you. After a wilderness lunch around an open fire, board a mini-bus transfer to the island of Sommaroy, just an hour's scenic drive from Tromso. Located right on the edge of the archipelago and facing the sea is the Sommaroy Arctic Hotel. Recently refurbished and with just 20 rooms, a restaurant, library and bar, this is a perfect retreat. The afternoon is at leisure. Don't underestimate the value of doing nothing other than absorbing your environment! A 3-course dinner is served, accompanied by a backdrop of mountains visible from the panoramic windows of the hotel restaurant. After dinner, embark on a guided northern lights hunt with a local expert. After breakfast, our local guide will pick you up for a guided wildlife safari with his two huskies to the neighboring island Kvaløya. Get familiar with the history and wildlife of the region on this guided minibus trip and enjoy warm meal by the crackling fire. Reindeer, otters, moose and sea eagles are among some of the highlights that can be spotted on the trip. Back at the hotel, relax in the hotels' sauna, before enjoying a three-course dinner at the restaurant. Head out to chase the Northern Lights once more, this time on your own. After breakfast, it will be time to leave this peaceful haven. 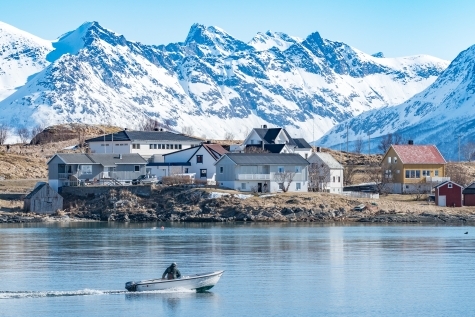 Return to Tromso for some last minute sightseeing or head straight to the airport in time for your return flight home. Overlooking Tromsø Quay, this contemporary waterfront hotel is ideally located in the centre of town and within easy walking distance to all the local attractions. Enjoy beautiful views of Tromsø Sound from the outdoor rooftop Jancuzzi, whereas the lobby bar offers a welcome retreat after a day of activities. All rooms have complimentary Wi-Fi, hairdryer and private bathroom with WC and shower. Upgrade to a superior room for tea & coffee making facilities, bathrobe and slippers. The hotel serves complimentary afternoon coffee and waffles and a complimentary light buffet supper is served between 18.00-21.00 daily. 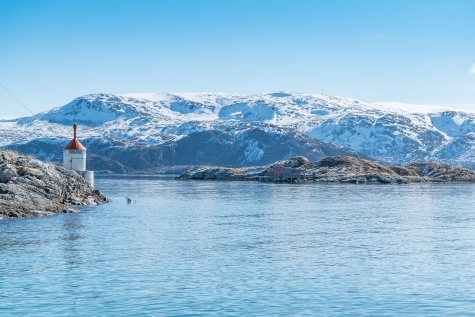 The Sommarøy Arctic Hotel is a charming hidden gem, tucked away on the beautiful island of Sommarøy famed for its white coral beaches and panoramic mountain and seascape vistas. With just 20 rooms, you are assured of a personal welcome and time to enjoy the on-site restaurant, bar, library and gym. You can borrow bikes or walking poles from reception should you wish to explore the immediate surrounds of this enchanting coastal community.